According to the world's largest freelancing website, Upwork, blockchain has managed to secure the No. 1 spot on fastest-growing skills index in the U.S. freelance market. 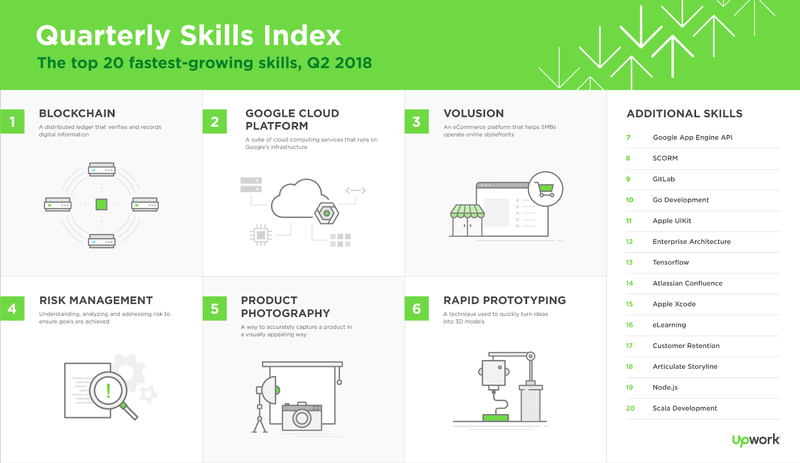 The craze for crypto business continues to evolve as blockchain takes over Google Cloud Platform, Risk management, Product Photography, Volusion and plenty other notable skills in the Upwork’s list of top 20 fastest-growing skills index. “Blockchain (a decentralized way to record information digitally) shows huge potential for businesses, causing a spike in demand for experts familiar with the technology,” says Upwork in a blog post.